Technology and food combine at the LEGO® Friends Olivia's Cupcake Café with lots of super-cool gadgets for imaginative kids' role-play. Inspired by the sushi restaurants of Heartlake City's tech district, the cupcake shop features a server that rotates using gear wheels. The LEGO Friends Cupcake Café also has a cool cupcake-dispensing machine, indoor and outdoor dining areas, and a kitchen with an oven, sink, and cake-making utensils. 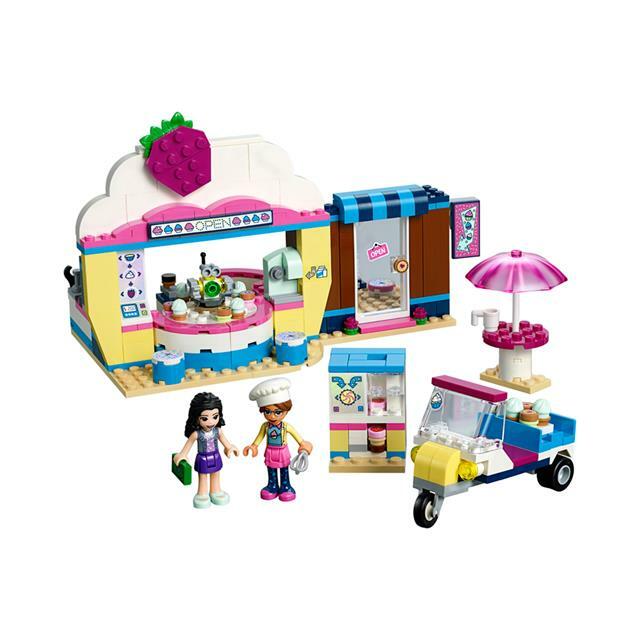 For even more creative play, this café playset also comes with a little scooter to deliver cupcake toys all over Heartlake City. Includes 2 mini-doll figures: Olivia and Emma, plus a robot figure.